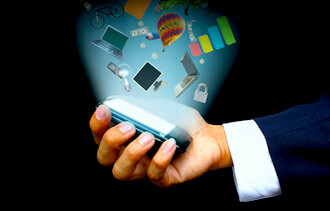 The versatility of mobile as a marketing tool is one of its biggest assets. Arguably, also, one of its biggest problems – for a new brand coming to the mobile channel new, there’s so much you can do that the problem is knowing what you should do. Think about the modern day mobile phone for a moment and, in particular, the differences between a smartphone and a PC. On the down side, the phone has a smaller screen, so whatever you do in marketing terms to a PC audience, you can’t simply assume you can do the same stuff on a mobile. Then think about the phone’s camera. Naturally, this enables the user to take still or moving images but, allied to an augmented reality app, it can serve up a totally different view of the world, one which can tell the user what’s going on around them at that moment, simply by holding up the phone in front of them. And because the modern smartphone knows not only where you are, but which way you are pointing, you only have to turn around with the phone in front of you to see what’s going on in the other or opposite direction. So if you’re in the business of selling houses, for example, you could create an augmented reality app which lets the user see which houses are for sale around them, simply by holding the phone in front of them. It’s something the online estate agent Findaproperty.com has already done. Now put yourself in the shoes of a marketing director for a big brand which has got its online act together, is active on Facebook and Twitter, but has not yet got to grips with this mobile thing. Where do you start to make sense of the marketing opportunities it presents? And how do you avoid being blinded by the technology and producing something you think is very clever, but which offers little value to your customers? Well I think a good place to start is with those customers. Ask them what services you could serve up to their mobile phone that would be of some value or utility to them. For a retailer, it could be an app or a mobile site that enables customers to buy from you whenever they have a couple of minutes to kill. Many retailers, in fact, have gone down this route. It could be a way of locating your nearest retail outlet, branch, cash machine or post box, and finding out about any special offers that you are running at that moment – it could simply be a way of keeping up to date about the latest news from the brand. Today, thankfully, things have moved on. While an app may indeed be the answer for many brands, offering, as it does, the opportunity for a deep, rich engagement with their customers, most are taking a bit more time to examine the question in greater detail. This, indeed, is why the mobile marketing business is experiencing such rapid growth; marketers and budget holders are realising there is so much more to the world of mobile marketing than apps. Many are taking a more rounded, holistic approach that embraces apps, but also, mobile-optimised sites, mobile advertising, mobile coupons and tickets, location-based services, and customer relationship management programs based around mobile messaging to customers who have given their permission for the brand to send messages to their mobile phone. At the last count, Marks & Spencer had more than 1 million customers opted in to its mobile database. Those brands that got in early are now reaping the rewards, having learned what works and what doesn’t, while most mobile marketing activity was well away from the public glare. Those joining the party late are at least joining the party, driven by the results their peers have experienced on mobile, and are now shouting about. Marks & Spencer has been shouting louder than most. 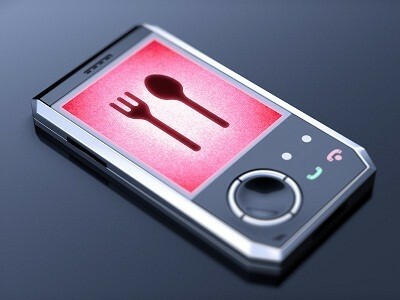 Last year, it revealed it had taken an order for more than £5,000 for kitchen units via its mobile-optimised site. 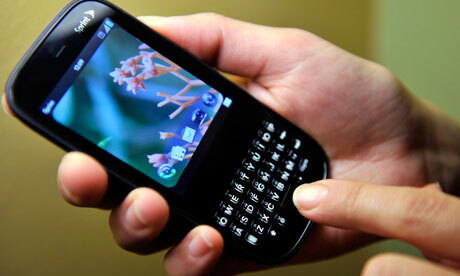 More recently, in May 2012, it reported that its revenues from mobile had increased by 300% over the past 12 months. In May last year, Domino’s Pizza revealed that it had taken £10m in orders though its mobile properties, including apps and a mobile-optimised site. Then in October, it announced that it had taken £130,000 in orders through mobile devices in a single day. These are figures that are hard to ignore, and they are helping marketers overcome one of the biggest challenges they face with any new channel – securing the budget to try it out. As more success stories emerge, and more funds are released, so more brands are embracing mobile, recognising its unique power as a one-to-one communication channel, with the important proviso that before it is used for any direct communication, such as a text message sent to a customer, for example, it is vital that the customer’s permission is sought and obtained. At Mobile Marketing Live on 1-2 October at the Business Design Centre in London, we will be exploring the challenges and opportunities presented by the mobile channel in more detail. Leading brands such as the Guardian, Barclaycard, Debenhams and Domino’s will discuss their experiences using mobile marketing. If you’re trying to move from what you could do on mobile, to what you should do on mobile, it’s a great place to start.